Tell us a little about your background before FMP and what brought you here. I have been running small technology and government businesses for the past 20 years—either as CEO or CFO. I have always been very involved in the executive-side of the business. A few years ago, we sold our business and my plan was to slow down with work. Well, that plan went sideways. I reached out to some people I knew and asked if I could help their organizations on a part-time basis. My plan was to take it slow, while still enjoying my work. My portfolio then grew to the 6 clients I’m working with today. 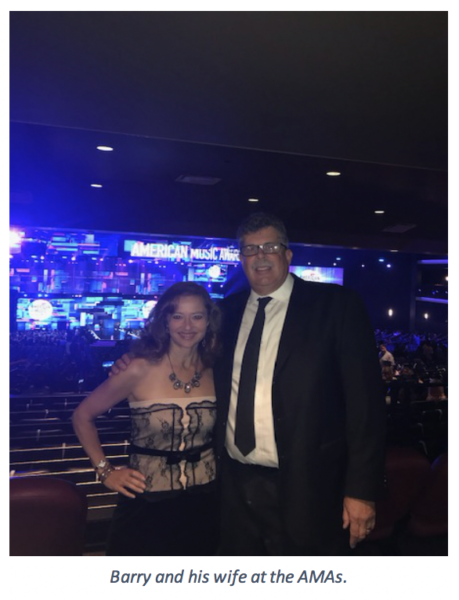 I met Erin Pitera [FMP’s CEO] through the Vistage Executive Group. When she found out the type of work I specialize in, she asked me to come in and meet a few employees at FMP. I picked up some work on a short project, and that work turned into my permanent, part-time position. The cool word I like to use is “fractional executive.” I’m a fractural guy! I’m working harder than I ever have but the work is very rewarding. I still get the social connections to the companies that I would miss if I was a stay-at-home consultant. I know your family was excited for you to slow down, how do you balance your work life and family? By the time I grew my portfolio to the current size, we were empty nesters. I’ve always been committed to be home by dinner. I do a lot of networking but that usually takes place at breakfast or lunch. Being home for dinner was important to me and my family. Don’t get me wrong, I work hard but then take time off, we love to plan big family vacations! Vacation sounds great! Can you tell us a little more about a vacation you really enjoyed? One of my favorite vacations is when the family went to Vienna and Salzburg, Austria. My wife is a Sound of Music nut! They do a tour where they show you all the places the movie was filmed. We also traveled to Italy. The highlight of that trip was driving in Italy (no accidents, but one very frightened motorcycle rider that I almost cut his bike in half)—yikes! Speaking of movies, you recently went to Hollywood and hung out with some major stars, can you tell us a little about this experience? This trip was part of a charity auction. 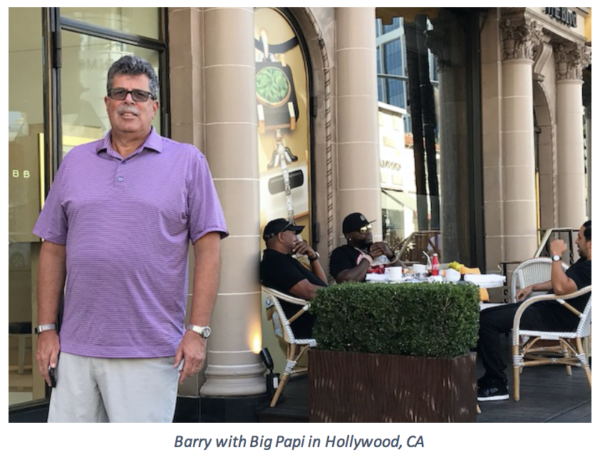 My wife and I won a trip to the American Music Awards, plus a two-night stay at a hotel in Beverly Hills. The weather was just amazing. We did the tours of the star homes. I saw all the big stars at the AMAs. I also ran into Big Papi! Do you have a favorite star? I do like Carrie Underwood, we had a lunch date, but she stood me up. She wasn’t feeling well, so I understood. In addition to the flexibility to take time off and go to the AMAs, what keeps you excited to come to work every day? Overall, I believe it’s important for me to be on-site with every organization so I can be completely engaged. I want to be viewed as a part-time executive, not an external consultant. Every company I work with is different. Besides FMP I have a government contractor, an asbestos abatement company, a fireman’s association, a software company and a Philadelphia appraisal company. I love learning about new and diverse businesses. One of my first projects was helping a wind-chime company. He makes 1,000 wind chimes a day! When it comes to FMP, we have an unbelievable culture with people who really like being here and like what they do. My input is valued and respected and that means people listen to what you say. It makes it easy to want to come to work.